Decomposing the design (or documentation) of large systems is a practical necessity but finding compositional development methods for concurrent software is technically challenging. 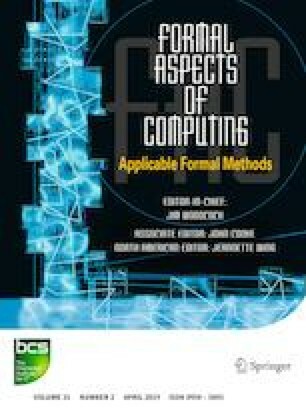 This paper includes the development of a difficult example in order to draw out lessons about such methods. The concurrent garbage collector development is interesting in several ways; in particular, the final step of its development appears to be just beyond what can be expressed by rely/guarantee relations. This prompts an exploration of the limitations of this well-known method. Although the rely/guarantee approach is used, most of the lessons are more general. The current journal paper is a major reworking of an earlier conference paper [JVY17] and we acknowledge the earlier enjoyable collaboration with our colleague Andrius Velykis before he moved to industry and then back to his homeland. We have also benefitted fromproductive discussions with researchers including Jose´ NunoOliveira, IanHayes and attendees at the Northern Concurrency Working Group. In particular, Simon Doherty pointed out that GC is a nasty challenge for any compositional approach because the mutator/collector were clearly thought out together; while this is true, looking at an example at the fringe of R/G expressivity has informed the notion of compositional development. Leo Freitas is in the process of mechanising the proofs of the lemmas and theorems above and has mademany useful comments. An anonymous referee also provided useful input that has hopefully led to clarifications. The authors gratefully acknowledge funding for this research from EPSRC grants Taming Concurrency and Strata.